I have bikes that I cannot ride four months at a time as I am out of town. I have always stabled the gas, replaced oil, battery tendered, blocked up, stored in a warm Florida garage. It's a bit of a hassle and I am wondering if I could skip the oil if it is low mileage as in maybe 4000 miles or less. Ideas and thoughts? Unfortunately that is a difficult question to answer as we just don't know how much moisture or acids are in the motor oil. 4,000 miles isn't a lot ( IF ) the oil is still without acid or moisture. The warm moist Florida garage probably does add some moisture to area. A lot depends on how it was ridden, how far it was ridden , & how hot (all) the oil I the sump got before storage. Four month as isn't a long time to store so that is in your favor. Bottom line-- I can't directly answer your question but I probably wouldn't store my own personal motorcycles with 4K used oil in them if I could help it. You might get a better (more educated) answer by calling the engineering department of the oil company that supplies the current motor oil that you are using. It might take a few persistent phone calls but sooner or later you will probably talk to a person of knowledge at the oil company. Thanks DR. Your opinion carry's a lot of weight. I just wonder how honest of an answer I would get from the oil manufacturers engineering department? Would they tell me if they had doubts? Probably better safe then sorry and just continue with what I know works. On talking to the oil's engineering department?-- That depends, IF you get the right guy inside engineering then you will probably get a straight answer (that is why it might take a few persistent phone calls). (look at your PM's on this site as I will send you some info on how to (maybe) get inside the engineering department)-- I don't want to post it here for obvious reasons. If just talking to the customer rep then probably nothing believable from them. My take: as long as you're doing your own work, oil changes are cheap. Bearing failures are usually expensive, and are possibly hazardous. I'm sure it's a hassle for four bikes, though. Realistically speaking though, how important is the oil in the scheme of things? Just step back and consider what components are actually submerged in the oil while the bike is sitting idle? Oil on the other components would drain off, and leaving just films or the occasional puddles, like in the valve covers. Crankshaft and cylinder walls will have just a film of oil on them. It is much more important to leave the bike with full tank of fuel (to eliminate condensation in the tank), with as little air space as possible. Fuel stabilizer is an added insurance, but quite frankly that is not essential either. Just for the heck of it, I stored my RT away this past winter, for full 5 months, and this time I deliberately didn't add the Seafoam that I typically use. 5 months later (last week), I got the RT ready with just a walk-around check, and tire pressure check, got on it and started it right up . . . . well, after several seconds of cranking to get the system charged up again, then went on a 200 miles ride without any issues! It's more important that most riders give credit to. Ture in that oil drains back but that film of oil remining between that nice shinny crankshaft journal, or camshaft bearing journal, or valve lifter & cam lobe, or oil pump rotors, or cam chain hydraulic piston, or??? could have some moisture or combustion acid in it. (not saying it does but saying that it might if well used oil)-- IF the oil contains moisture or acid & the engine sits with those parts stationary for extended time periods then you can get bearing journal etching. If you are 100% positive that the storage oil contains no moisture or combustion acid then no harm will come to the bearing areas. If a rider isn't sure then the smart thing to do is install fresh motor oil & run it through before storage. Your bike, your money, ultimately your decision. Well then that makes 2 of us as I do the same thing for long-term storage vehicles. I also pull the fuel pump fuse, or fuel injector fuse, or disconnect the fuel injectors before cranking so it doesn't spray raw fuel into the cylinders during cranking. I am also fortunate in that I have a somewhat local gas station that sells non-alcohol containing 91 octane gasoline so I try to run the fuel level down then re-fill my storage bikes (& other equipment) with non alcohol fuel then run that through before storage. Alcohol in the fuel attracts (& bonds to) moisture then forms corrosive. As a rule I don't worry too much for a short term storage (just fresh oil & fresh fuel before storage) but I have a number of motorcycles & other equipment so I never know if they will be stored for 4 months or 4 years when I put them in storage. Good morning to you too, DR!! Everything that you said is true, and I do agree with (products of combustion, in particular carbon-dioxide, sulphur-dioxide, and water will combine to form acids, even if the quantity is minute), BUT the potential corrosion is a chemical reaction, and very much volume related! Once the acid, as weak as it is, that is trapped in the oil, react with the metal, it's "used up", and nothing can happen any further unless the acid can be replenished. Not much replenishment in a thin film vs. large volume of immersion. That is my point! Quite frankly, I try to do an oil change before storage whenever possible. 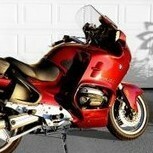 However, if you had done an oil change just 1,000 miles before the bike is stored away, would you do it again? How about 2,000, or 3,000? That is the real question! That is my second point, to answer the OP's question. Decide what is needed, but don't worry about it even if you decide not to do any oil change. It's not that much of a big deal. However, if you had done an oil change just 1,000 miles before the bike is stored away, would you do it again? -- That depends, if all warm/hot weather continuous riding with engine SUMP getting hot enough/for long enough to burn off moisture on last ride before storage then possibly not at 1000 miles. If short rides or ridden in cold weather before storage then definitely at 1000 miles of riding. How about 2,000,-- Yes, definitely. or 3,000? -- Positively would every time. Overkill?- possibly, cheap insurance?- definitely. As I mentioned in an earlier post I have seen enough etched bearing journals in my life to make me wary of extended period storing any vehicle that could have moisture or acid in the oil film. This (below) is from a tec bulletin sent to me long ago from a major bearing supplier___ This was in reference to a bearing etching problem we were having with a specific vehicle component. A decade or so ago, I used to give the exact advice that you gave, but that was based on what I thought I knew. I am afraid that the excerpt that you had to do with moisture on grease and rolling-elements bearing. Absolutely nothing to do with the journal main and big-end bearings on our bikes that I would be concerned with! Another word, it's a smoke screen to this issue at hands. if the acidity of the oil is so bad, think of what it does when the engine is running, and at the elevated operating temperature! Of course, you do know that chemical reactions is temperature dependent, and is very much more active at higher temperature than at low temperature. On top of that, fresh "acidic" oil is being continuously pumped through the journal bearings bringing fresh "acid" into contact with the highly polished pins! 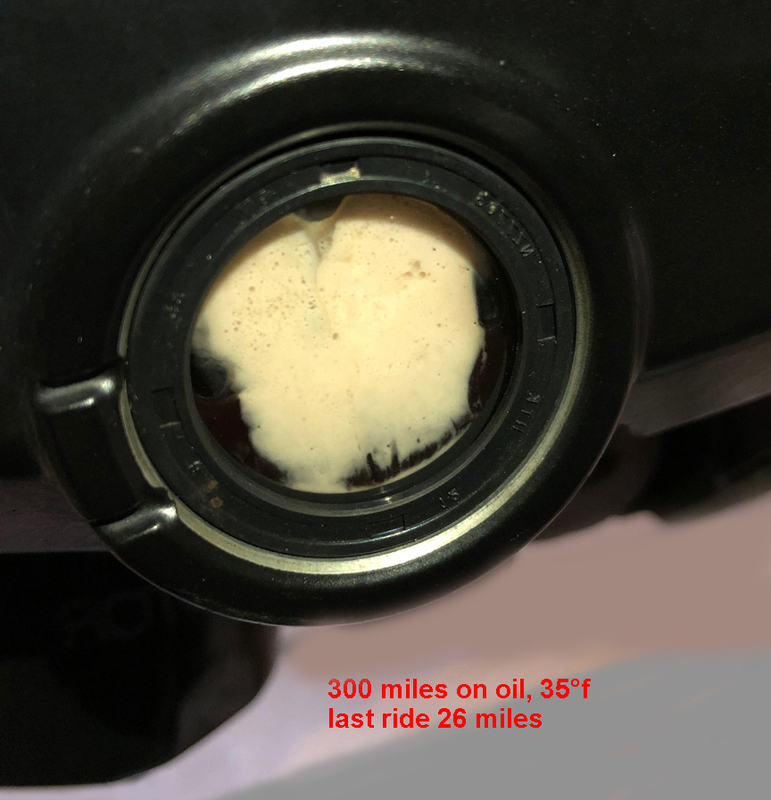 BTW, just an aside - I had often read of people questioning as to why oil change is at 6k miles on our bikes, and what I described is the main reason why! The oil is still technically good for many more thousands miles, but you want to eliminate the contaminants. 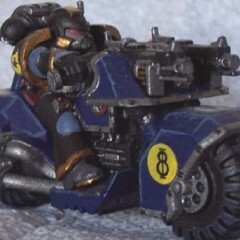 I have also taken apart many engines, cars and bikes, over my life time. Personally I will keep doing what I do now based on what I know from my past experience with seeing a number of etched crankshaft journals, pitted camshaft bearing surfaces, failed bearings, etc caused by acidic storage oil, or moisture containing oil during vehicle storage. Future readers can do what THEY feel best based who they believe & what they trust. http://lubricheck.com/how-to-order-lubricheck-oil-tester.html This sounds interesting and something I've been thinking about. Being able to test lubricant quality prior to doing an oil change rather than just changing based on mileage alone is intriguing. Interesting, if it works, I have my doubts as the auto companies have been trying to perfect similar technology for years but there have been many problems getting them to work reliably with all the different oil additive packages & oil degradation situations. If it uses oil color as a judging system (very possibly does) then it absolutely worthless. Not sure how it could do a chemical or true analysis 'through a lens' so that is sort of a give-away. This device is sold on Amazon and has 96 reviews also a couple short videos. Doesn't depend on oil color. Sounds like conductivity through the oil is what is tested. I'm tempted but like you D.R. I'm skeptical. Apparently acidity of the oil under test is what is tested. Cleaning of the oil under test container between tests is very critical. We have an 11 year old Ford Escape that spends its life being short tripped a lot so moisture in the oil is a big concern especially here on the OR coast. Might give it a go since $54 doesn't break the bank. I'll look into this further. As far as my motorcycles go I don't know if I could force myself to only change oil once every 10K miles or some like mileage figure no matter what this tester says. What about viscosity? I thought that oil tester had a lens? (maybe not) --guess I should research it. If it does have a lens then I wonder how it measures oil conductivity & acid content? I occasionally run my newer BMW boxers to 10k between changes, I'm usually not a mileage changer as I am more of a time period changer. If I ride a lot of miles in a shorter time that probably means not many cold starts, not a lot of idling time, not a lot of short trips vs longer trips, & usually warm weather riding. On the other hand, on some of my less ridden motorcycles I can go a year with under 5K miles so those definitely get a time change rather than a mileage change. On the BMW boxer bikes (not including the 1200/1250WC bikes) there probably isn't a lot of oil shearing as the oil doesn't go through the trans gears. They do have twin oil pumps & some internal chains so they do have some shearing capability. As long as a premium up level synthetic oil is used (those have very few polymers to get the viscosity spread) then oil viscosity degradation is probably not an issue until very high miles. I have sent in oil samples a couple of times now on my 1200 bikes (both @ over 10k) & the data came back as good viscosity & still in very good shape. On the other hand I have sent a couple of sample's in for my 800GS & that shows some viscosity reduction at 6K but that bike uses engine oil in the trans & has a wet clutch plus it runs at a significantly higher RPM, plus I shift it a LOT as I ride it pretty hard. (don't think I would push this bike to 10K, especially the way I currently ride it. But this bike also doesn't give me many oil options as it uses a 15w50 MA-2 oil (very difficult to find). You could pick a riding mileage/time with your average riding parameters then send an oil sample in. That should give you an idea on how you are doing on oil life for YOUR riding conditions, motorcycle, & mileage. ... I occasionally run my newer BMW boxers to 10k between changes, I'm usually not a mileage changer as I am more of a time period changer. DR - What would personally consider to be short trips? Most of my miles are 25 miles back and forth to work with a 80-100 mile weekend ride. I don't idle the bike to warm it up, i start it and ride off with a few seconds. Now THAT is a great question. There are a lot of (depends) to go with that answer. Short answer is long enough ride to heat the oil (in the crankcase) hot enough to remove moisture & other contaminants as well as add enough mileage to prevent many more short trips until oil change mileage is met. Longer answer is: it depends on motorcycle engine design/cooling, how much crankcase is exposed to cold air, if engine is producing combustion by-products that get down past the piston rings on short trip (basically cold engine) operation. The longer that a ride is then usually the less cold starts, less cold idling, less combustion moisture, etc. If you figure 6000 miles between changes & 5000 of that 6000 is ridden in 500 mile days then that doesn't leave a lot of miles left on that oil change interval for cold starts, cold idling, short trips, etc. As for 25 miles at a time, that can depend on the ambient temperature, what type of 25 miles (high speed vs stop-&-go vs ????). 25 miles in hot weather probably wouldn't be considered a short trip, 25 miles in cold damp weather with cold air blowing on the exposed crankcase could easily be a short trip. A short ride is defined as one that doesn't allow the oil and or engine temp to reach normal operating temps. Wow, that is some foamy oil. Fortunately my ride starts with an easy 2-mile 3rd gear warm-up, 20 miles at highway speeds, with 3-mile moderate speed hilly section at the end. Of course that means i should take an even longer way to and from work just to keep my engine oil in good shape. I've seen foamy oil like that in an old truck i had when i lived 2 miles from work. My opinion is that some people really over-think/over-analyze things that will never be a factor in the longevity of their motor. How many verified cases of premature engine damage or failure can be directly attributed to acid-etched bearing surfaces because someone made a habit of not changing out oil with 2000 miles on it before they let their RT or GS sit idle for 4 months? I guess I think about this stuff because I have ridden every BMW bike I have owned from new purchase to used over 150,000 plus miles before I sold them. I have yet to have an oil related problem. That's why I asked, it would be nice to not have to change out the oil for short storage times. I hate tossing out low mileage oil and filters, such a waste. Many OTR trucks have oil change intervals of over 40,000. Bypass filters and oil analysis can be a part of the routine. I periodically have the oil analyzed from my Duramax diesel (which currently is at 268,000 miles). Even at intervals of 7,500 miles the analysis states that even longer intervals are fine based on the condition of the oil sample. I was a non believer and had long debates with Amsoil representatives back in the day so one made me a deal and gave me 3 free analysis kits. So I did an analysis many years ago on an 1998 1100RT with about 65000 miles as a long term test. I went 18000 miles over about 18 months with one filter change at 9000. Did three test at 6000 mile intervals and all including the last at 18000 said bottom line the oil was still good. Now I did not know the meaning of all the numbers but the conclusion was still usable. At that point I started changing oil out at 12000 mile intervals. That has changed now that I have to store vehicles. That is why I think as a whole we throw away perfectly good oil and I personally hate the waste on my part. Lots of people I talk to at events still change out oil at 3 or 4000 mile intervals because their dad did. Oh my gosh, has this turned into an oil thread.......Crap. I guess I think about this stuff because I have ridden every BMW bike I have owned from new purchase to used over 150,000 plus miles before I sold them. I have yet to have an oil related problem. Clearly whatever you're doing to maintain your bikes is more than enough. I guess the interesting question is this: can we do less than you're doing and still get the same results? I don't have the mileage or bike count that you do, but I'll offer my single experience with my '99 R1100RT. I always changed the oil at 6000 miles per the manual, but I never bothered to think about what the oil's condition was when I put the bike away for Michigan winters; didn't matter to me whether it had 500 miles, 5500 miles, or somewhere in between, I took one last ride in the fall (~60 miles), and then stashed it. When I sold the bike after ten years, it had 135,000 miles on it, and the engine was probably the healthiest thing on it. It had modest oil consumption that had existed since its earliest days, and plenty of power. Storing for four months of a Florida summer is, admittedly, a bit different than four months of a Michigan winter - but if I were in your shoes, I don't think I'd bother with a pre-storage oil change if the oil had less than 4K miles on it. I'm shocked that your crankshaft wasn't just an acid-eaten lump of metal fragments laying in the bottom of the oil pan. All very informative information, thank you. I will error on the side of caution. DR summed it up simply, it's cheap insurance and I know I have done what I can to clean out water and acids. Even though it's a pain shutting down 4 bikes it would be more of a pain and $$$ to have to replace internal parts just for convenience sake. As Mitch said winter conditions may be very different than a garage that gets to 95 plus degrees and high humidity all summer long. Or it could be way over thought.........Guilty.